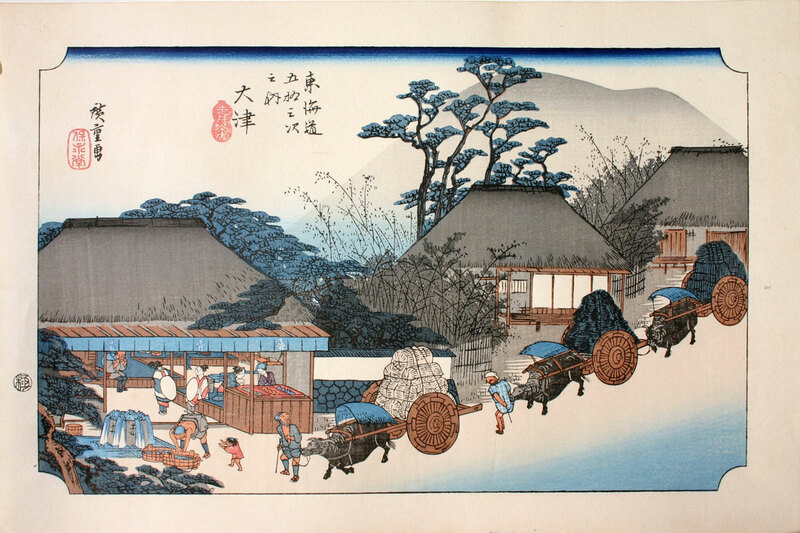 Submitted for your approval—a nice, mellow woodblock print by Ando Hiroshige (1797–1858). I could literally spend hours gazing at his wonderful artwork. So here is more of it. "Otsujuku" (Otsu Station), from Hiroshige's "Fifty-Three Stations of the Tokaido Road" series.